1) How did they get my identity? Stolen or lost purse or wallet. Going through trash and finding credit card receipts or other documents with your personal information on it. Removing mail from your mailbox and obtaining such things as credit card requests, etc. 2) How do I protect myself? Dispose of your personal information properly. For instance, shred unwanted copies of credit card receipts, loan applications, etc. before you discard them. Don’t carry all of your credit cards with you. Carry only the cards you plan on using. Don’t carry your Passport, Birth Certificate or your Social Security Card with you. Don’t give out your social security number to anyone and don’t put it on your checks. Don’t give out any personal information on the phone unless you are certain it is a legitimate purpose and you know whom you are dealing with. At least once a year obtain a copy of your credit report and check it for errors. When using an ATM be aware of others who are nearby and could possibly obtain your PIN number. Be aware of skimming devices that are attached to ATM’s and Credit Card readers at gas pumps, etc. If it looks like a device has been attached, alert the bank or store personnel. Don’t be bullied. Some scammers will call you acting like someone from a company or bank you do business with. They will try to scare you by telling you about unauthorized withdrawals or purchases. If they ask you for personal information or for money…that is a Red Flag. 3) Someone is using my identity—now what? Contact the fraud departments of each of the three major credit bureaus. Ask them about the flagging your file with a fraud alert and ensuring creditors get your permission before opening any new accounts in your name. 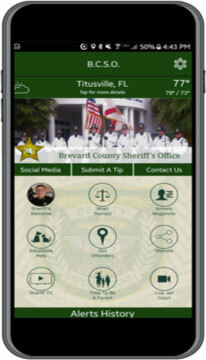 Ask how long the fraud alert will remain posted in your file. FREE YEARLY CREDIT REPORT (877) 322-8228 or www.annualcreditreport.com. Contact the creditors for any accounts that have been tampered with or opened fraudulently. Ask to speak with someone in the security or fraud department. Following up with a letter is one of the procedures spelled out in the Fair Credit Billing Act for resolving errors on credit billing statements, including charges that you have not made. 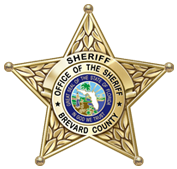 File a report with the Brevard County Sheriff’s Office or your local law enforcement agency if you live in a municipality. Keep a copy in case your creditors need proof of the crime.